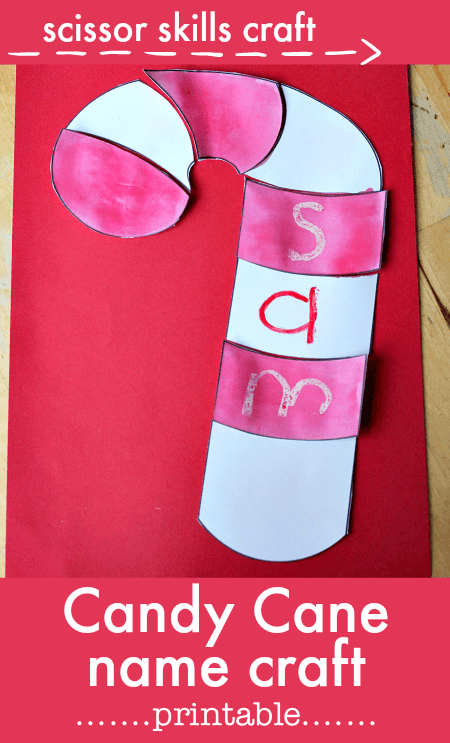 This candy cane activity for preschool and kindergarten combines scissor skills, art, and writing. :: Use red and white to colour the candy cane. Paint the stripes or use pens, pencils, and crayons. 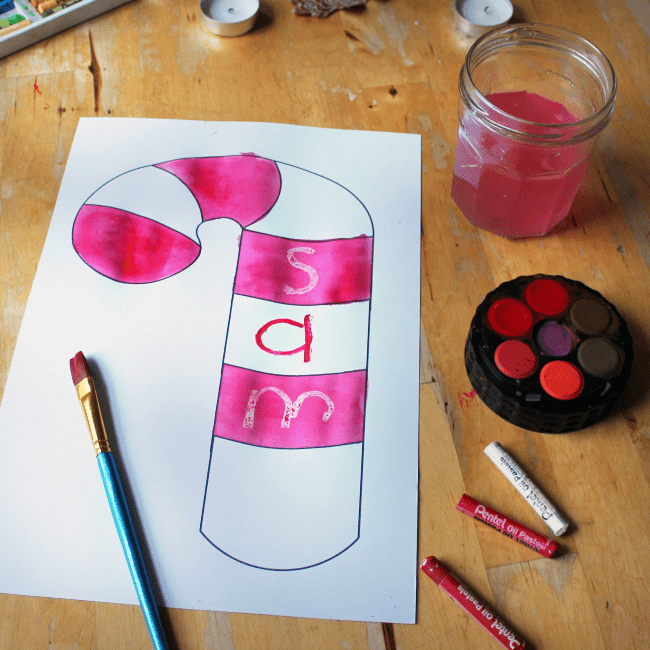 :: Write your name, placing one letter on each section of the candy cane. :: You might like to write your name in a white crayon or oil pastel, and then paint over the top with red water colour paint. Watch your name appear! :: Use scissors to cut out your candy cane. :: You can fit the candy cane back together like a jigsaw puzzle, practicing the sequence of letters in your name. Glue your candy cane in place on a piece of card. :: A second sheet gives you extra candy cane sections, in case you need more letters to write your name! 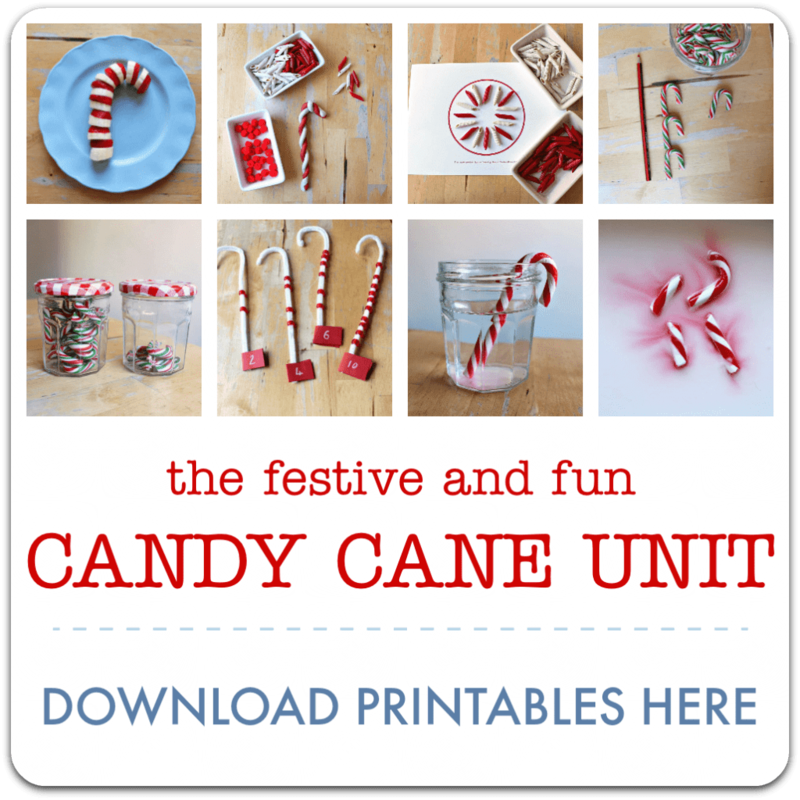 :: Create a bright display of candy canes with all the names of your family or class.